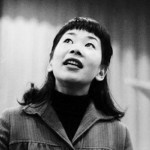 Japanese-born, American-naturalized singer and actress Miyoshi Umeki (b. Otaru, Japan, 8 May 1929; d. Licking, MO, 28 August 2007), best known for her roles as Mei Li in Rodgers and Hammerstein’s Flower Drum Song (1958) on Broadway, and Katsumi in the Joshua Logan film Sayonara (1957) with Marlon Brando and Red Buttons, was the first Asian (and the only Asian woman) ever to win an Academy Award®. She also made a lasting impression on television for three seasons as Mrs. Livingston, the housekeeper in The Courtship of Eddie’s Father (1969–1972), with Bill Bixby and Brandon Cruz. 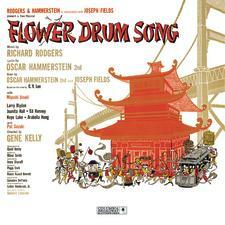 Umeki had a nomination for a Tony Award® for Flower Drum Song, and a nomination for a Golden Globe for Eddie’s Father. Born and raised on the large northern Japanese island of Hokkaido, where her father owned an iron foundry, Umeki Miyoshi (in Japan, the family name precedes the given name) was the youngest of nine children. As a child she developed a passion for music and singing – especially the American pop she heard on the radio, much to the distress of her parents – and learned to play the mandolin, harmonica, and piano. She confessed that because of her parents’ loathing for American music, she would practice her songs under the bedcovers, or with a bucket over her head. When World War II ended – she was still a teenager –, Miyoshi hooked up with a U.S. Army G.I. jazz band in Otaru that later toured to service clubs around Japan, offering Doris Day and Peggy Lee standards. She started at ninety cents a night, but in 1950, under the commercial name of Nancy Umeki, she signed a contract with RCA Japan, and before 1955 had recorded some 30 songs, some in English, some in Japanese, some bi-lingual. Among them were “Sleepy My Love,” “I Feel Like Crying,” “Sentimental Me,” “My Foolish Heart,” “Why Won’t You Believe Me,” “Manhattan Moon,” “With a Song In my Heart,” “I’ll Walk Alone,” “Vaya Con Dios,” “Sayonara” (this was four years before the movie), “I’m Walking Behind You,” and “How Much Is That Doggie in the Window?” During this same period she appeared in the film Seishun Jazu Musume. She became extremely popular in nightclubs and on Japanese radio, and in 1955 the United States beckoned. A tryout on Arthur Godfrey’s Talent Scouts earned her a regular place on his television show, Arthur Godfrey and His Friends, which she kept for a year, while recording with Mercury Records (singles “How Deep Is the Ocean,” 1955, and “The Little Lost Dog,” 1956; and the album Miyoshi Sings for Arthur Godfrey, 1956, featuring “If I Give My Heart to You,” “I’m In The Mood For Love,” “How Deep Is the Ocean,” “Teach Me Tonight,” “Can’t Help Loving That Man of Mine,” “S’Wonderful,” “Over The Rainbow,” and again, “Sayonara: The Japanese Farewell Song”). Umeki’s popularity on Arthur Godfrey brought her to the attention of director Joshua Logan as he was casting Sayonara (1957), the movie based on James A. Michener’s best-selling novel about forbidden love between U.S. servicemen and Japanese women during the Korean War. As the innocent bride of an Air Force sergeant (played by Red Buttons) who commits suicide with her husband when the authorities threaten to separate them, Miyoshi Umeki won an Oscar® for Best Supporting Actress (and Buttons won one as well, beating out nominee Sessue Hayakawa for The Bridge on the River Kwai). After her Oscar she appeared back on television on The Gisele MacKenzie Show, singing “How Deep Is the Ocean,” but soon was scooped up by Broadway to play a Chinese mail-order bride in Rodgers and Hammerstein’s Flower Drum Song (1958, “A Hundred Million Miracles”), which ran for two years. This role won her a Tony® nomination for Best Leading Actress, and the distinction of having her portrait, along with that of Pat Suzuki (also starring in the show), on the cover of Time Magazine, with the American flag waving in the background. “The warmth of her art,” reported the Time story, “works a kind of tranquil magic, and the whole theater relaxes.” When the musical became a movie in 1961, she once again took the lead, and received a nomination for a Golden Globe Award. Umeki would appear in only three more films, Cry for Happy (1961), A Girl Named Tamiko (1962), and The Horizontal Lieutenant (1962), although she continued to be a guest on many television series in roles written specifically for her (Hallmark Hall of Fame 1962, Sam Benedict 1962, Rawhide 1963, Dr. Kildare 1963, Burke’s Law 1964, The Virginian 1964, Mister Ed 1964). Starting in 1969, she played the housekeeper Mrs. Livingston on the sitcom The Courtship of Eddie’s Father, starring Bill Bixby (who said she was “the best actress I’ve ever worked with”) and Brandon Cruz. Again she was nominated for a Golden Globe, but when the show was cancelled after its third season, Miyoshi Umeki retired from acting altogether. She and her second husband, documentary producer and director Randall F. Hood, went into business together, supplying editing equipment to film studios and university programs. She had one son from her first marriage to television executive Frederick W. Opie, who took Hood’s last name. Randall Hood died suddenly in 1976, and eventually Michael Hood moved to a small town in Missouri, where his mother went to spend her last years close to him and to her two grandchildren. She died in a nursing home there at 78, of complications from cancer.